12 Gift Wrapping Days of Christmas: Hidden Glittered Ribbon! - Day 5 - Fueled by chile, frijoles & tortillas. So this one is a little more difficult than the rest. But hey, I always say, where’s the fun in it if there is not a little challenge in there for us? Okay, so you may just want to wrap your gifts and be done with it. It’s easier than it looks. I promise. For this 12 Gift Wrapping Days of Christmas edition we’re using punch-outs and glittered ribbon to give our gifts more of a subdued elegant look and feel. Think less is more, even if there are a couple more steps involved. I hope you’ll share some of your own gift wrapping adventures with me too! These are the supplies we’ll need for this one. You can of course choose the ribbon of your choice. We’ll use our scissors to do some scoring on our gift wrapping paper first. (Hint: you should know what size the gift you’re wrapping is before you get to this step). Make two score lines across the paper as shown. It should look like the bottom right corner when you are done. Use a ruler to mark where you will make your hole punches. 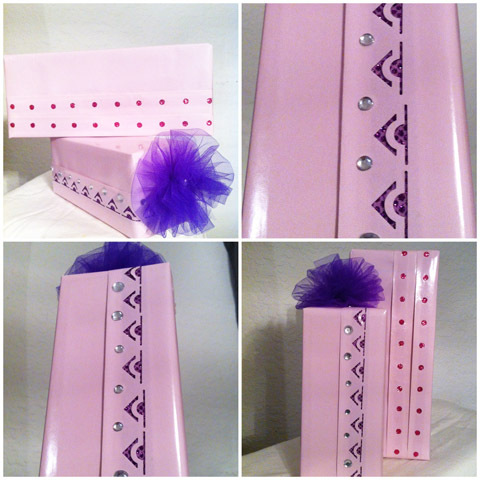 Now make your hole punches on the pretty side up of your gift wrap (not the backside). Your paper should look something like this now. 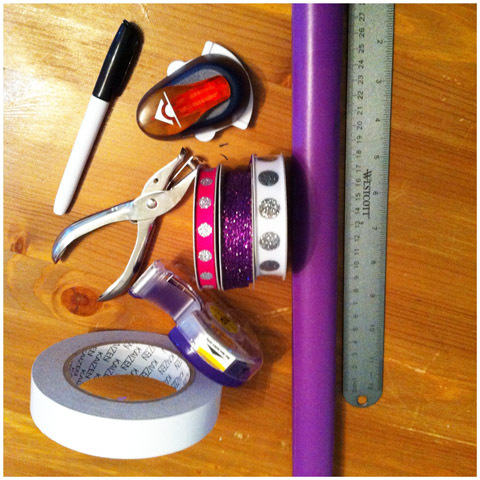 Cut out a piece of glittered ribbon and measure it to size against one side of your punch out design. Tape the ends of the glittered ribbon ribbon on each side with the glittered side facing down. 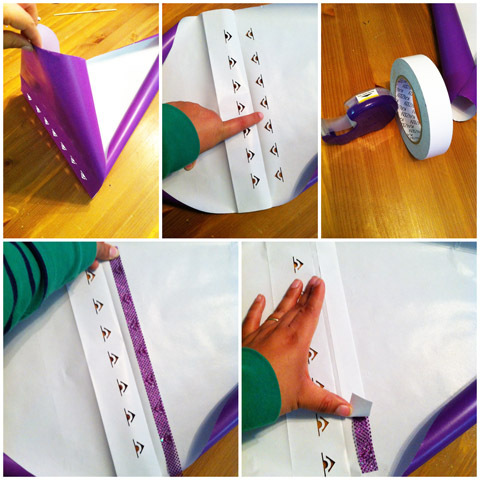 You’ll take a piece of double sided tape and place it on top of the ribbon. 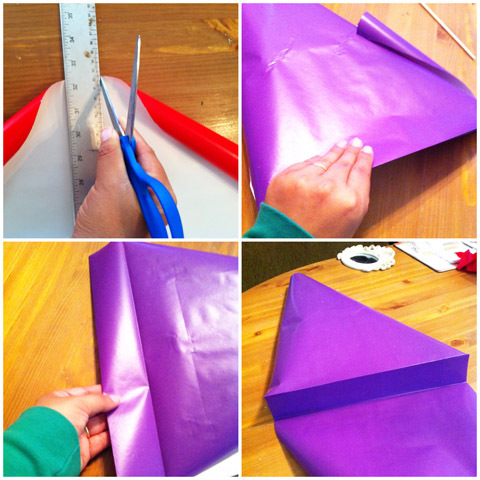 Fold the wrapping paper on itself, sandwiching the ribbon on the existing fold. This will create a flap. 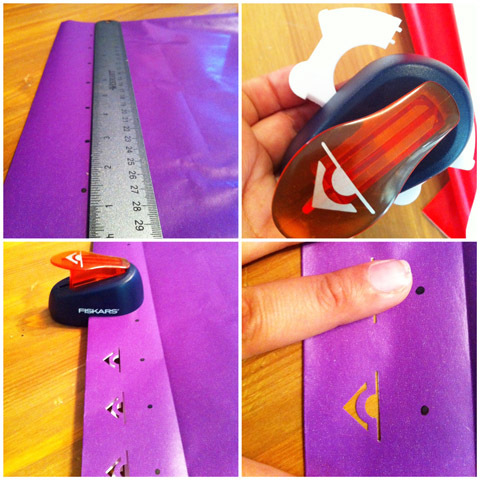 Now secure that flap by placing double sided tape against it and attaching it to itself on the existing crease line. 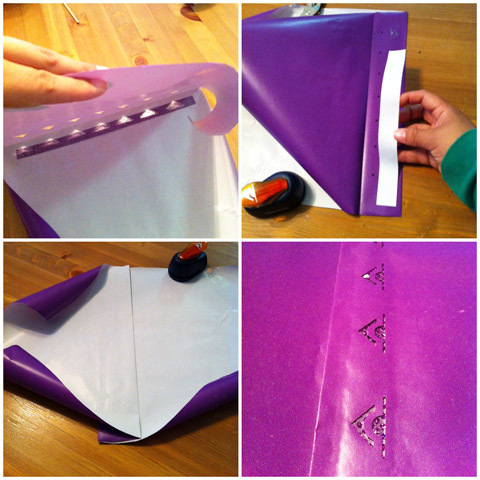 Now use paper as you would normally use it to wrap any gift. If you have any questions about this or any other of the 12 Gift Wrapping Days of Christmas, feel free to reach out to me online at facebook.com/craftythifter or twitter.com/craftythrifter. Please reuse, repurpose, thrift, consign and all that other good stuff. 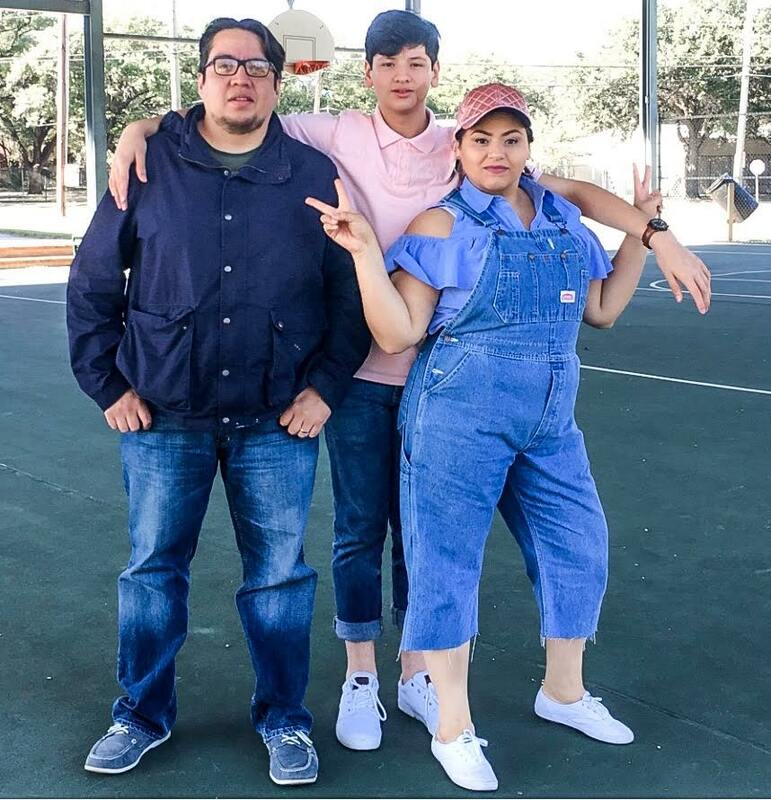 12 Days of Christmas in Words: So I’m Behind… Big Surprise!